To compare the efficacy of three-dimensional (3D) miniplates with standard miniplates in the osteosynthesis of anterior mandibular fractures on the basis of bite force recordings and other clinical parameters. 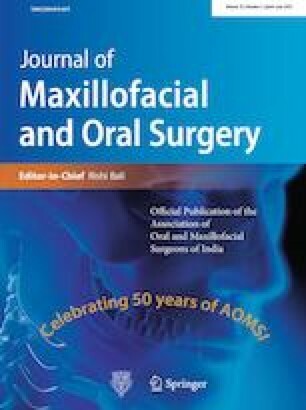 A prospective randomized double-blinded clinical trial was carried out for the treatment of anterior mandibular fractures. In total, 20 patients were randomly divided into two groups of 2-mm 3D and standard titanium miniplates. The assessment of patients was done at weekly intervals for 6 weeks using bite force recordings and other clinical parameters. A statistically significant difference was found in the duration of surgery which was less in group A as compared to group B (p = 0.03). No significant difference was found in other clinical parameters. Three-dimensional stability of the fracture site and simultaneous stabilization at superior and inferior borders in the fixation of mandibular fractures.